One of the most immediate benefits of consulting a tax attorney is the protection of Attorney-Client Privilege. Tax attorneys, enrolled agents, tax preparers and book keepers all in one firm, each specializing in their own field. William D. Hartsock, Tax Attorney Inc. has aggressively and successfully represented clients before the IRS since 1982. The Tax Lawyer - William D. Hartsock, Tax Attorney Inc. This tax law firm will use its best efforts, full staff and every known applicable law to protect your rights and interests against the IRS, FTB and EDD. 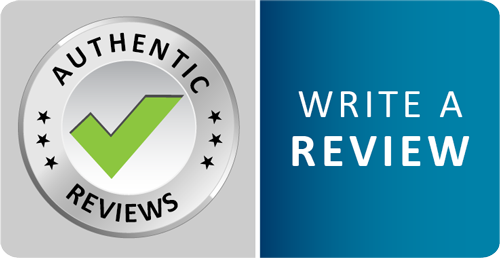 It is our mission to attain the most favorable outcome possible for each and every client. Revenue agents will typically attempt to collect more information than absolutely necessary or try to find reasons why they should expand their collection of your information to include additional tax years, etc... Most people, CPAs, Tax Preparers and many tax attorneys will bend over backwards to give in to the requests of the revenue agent. Unfortunately, additional information can potentially lead to additional penalties or prosecution. An experienced and aggressive tax lawyer makes all the difference. Everything with the IRS is a negotiation. They want to know how well you have documented the facts, they want to see how well you develop your case, and they want to see how well you know the law. That is why our firm begins by creating an impeccable record of the facts and then aggressively uses the law and the procedural protections of the IRS, FTB and EDD. In this way agents of the IRS, FTB and EDD are satisfied with your documentation and discouraged from pursuing any matters that are beyond the minimum scope of their initial investigation. Since 1985 The Tax Lawyer, William D. Hartsock has worked with people to protect income, assets and personal freedom by mitigating penalties and interest, negotiating the most favorable resolution of tax liabilities possible and defending against criminal prosecution. We understand the effects that stress and worry from tax problems can have on a person and their family. Having tax lawyers with our experience, expertise and successful track record on your side is the first step in putting these issues in your past. When working in business tax law our firm will first conduct an in-depth and thorough analysis of the financial statement to ensure the business is getting all of the tax deductions that it is entitled to and to ensure that we develop the key facts to the greatest extent possible. Typically our tax lawyers work with corporate clientele that consist of small to mid-sized businesses. William D. Hartsock, Esq. has been dealing with the IRS voluntary disclosure program since the 1980's well before it was a popular program. As a tax lawyer, Mr. Hartsock has been a leader in representing US citizens, resident aliens and those that pass the substantial presence to successfully navigate the voluntary disclosure program and avoid criminal prosecution by the IRS and Department of Justice for income and assets that are held outside of the US. 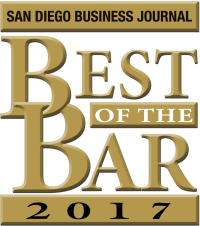 William D. Hartsock has been a San Diego tax lawyer since the 1980's. Since 2009 Mr. Hartsock has been the Chairman of the San Diego County Bar Association, Pro Se Tax Payer Program and has been at virtually every tax court calendar call and he knows all of the revenue officers, special agents, appeals officers and settlement officers down at the local IRS office. 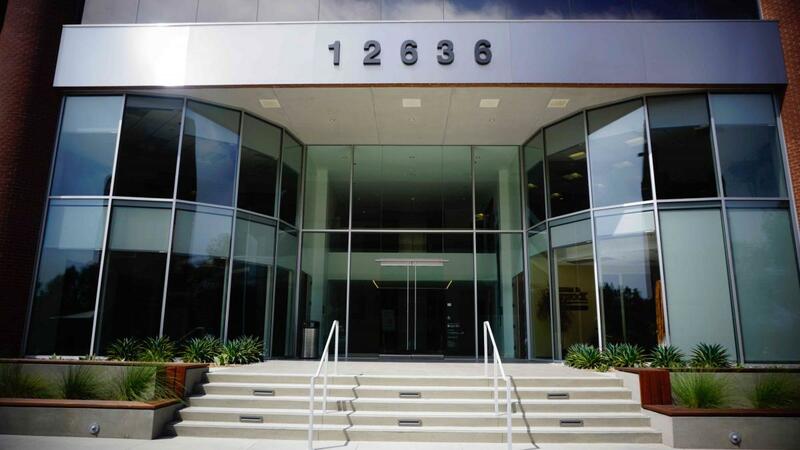 This firm deals with 100% tax law cases representing clients throughout California, and is intimately familiar with both the US Tax Court and the 9th District Court of Appeals. If you are seeking counsel on virtually any area of tax law, Mr. Hartsock has literally written the book on it. Click any cover to view the book on Amazon. 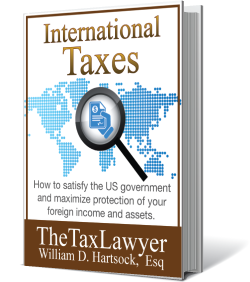 International Taxes: How to satisfy the US governemnt and maximize protection of your foreign income and assets William D. Hartsock, Esq. 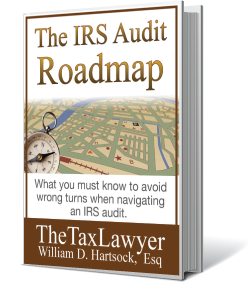 The IRS Audit Roadmap: What you must know to avoid wrong turns when navigating and IRS audit. William D. Hartsock, Esq. 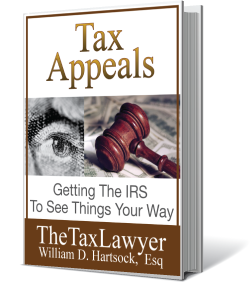 Tax Appeals: Getting the IRS to see things your way. William D. Hartsock, Esq. 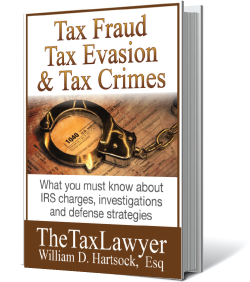 Tax Fraud, Tax Evasion and Tax Crimes - What you must know about IRS charges, investigations and defense strategies. William D. Hartsock, Esq.